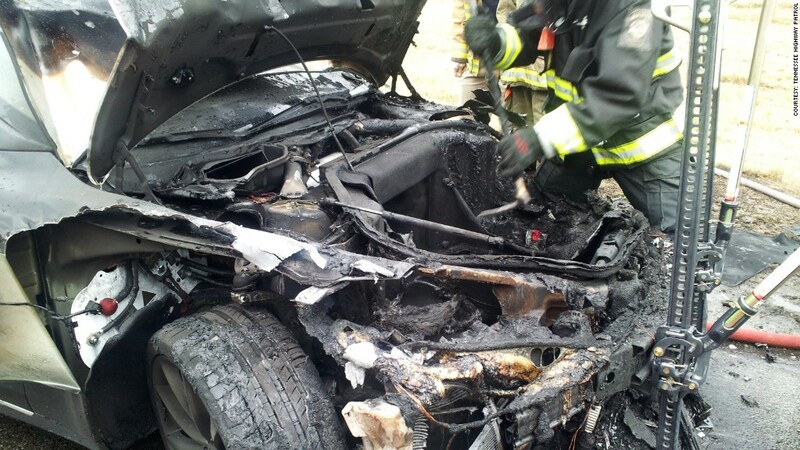 The Tennessee fire represents at least the second incident in which an Model S caught fire after an object struck the underside of the vehicle. A fire in a Tesla Model S in Tennessee this week was caused by the car running over a metal object. The metal object was a tow hitch, according to the Tennessee Highway Patrol. "The tow hitch hit the under carriage of the vehicle causing an electrical fire," the Highway Patrol said in a statement. "The driver was able to pull the vehicle over onto the left side emergency lane and come to final rest." It was the third fire in a Tesla Model S in 5 weeks. No occupants were hurt in any of the incidents. The first was in Washington state in early October and was also caused by the car driving over a metal object. The Model S battery pack is contained within the floor of the vehicle. In the first incident, the fire did not enter the passenger compartment because it was protected by internal firewalls, according to Tesla. In the Tennessee fire, damage also seemed confined to the front of the vehicle, based on photos supplied by the Highway Patrol. Tesla has not yet responded to questions about the latest fire or about whether the automaker plans to make any changes to its vehicles. Tesla (TSLA) said Thursday it was sending people to Tennessee to investigate the incident. In the second Tesla fire, which occurred in Mexico, the driver crashed into a concrete wall, according to media reports. The federal government's National Highway Traffic Safety Administration decided not to investigate the Model S for fire safety concerns after the first incident. The agency said Friday that it has not yet determined whether it will investigate following this latest fire. "NHTSA is in close communication with Tesla and local authorities gathering information about the incident to determine if additional action is necessary," the agency said Friday. There are about 19,000 Tesla Model S cars on the road worldwide, according to Tesla. According to the National Fire Protection Association, there are about 150,000 vehicle fires annually in the United States, but traffic accidents are involved in only about 4% of those fires. Most vehicle fires are caused by mechanical or electrical problems, not impacts. 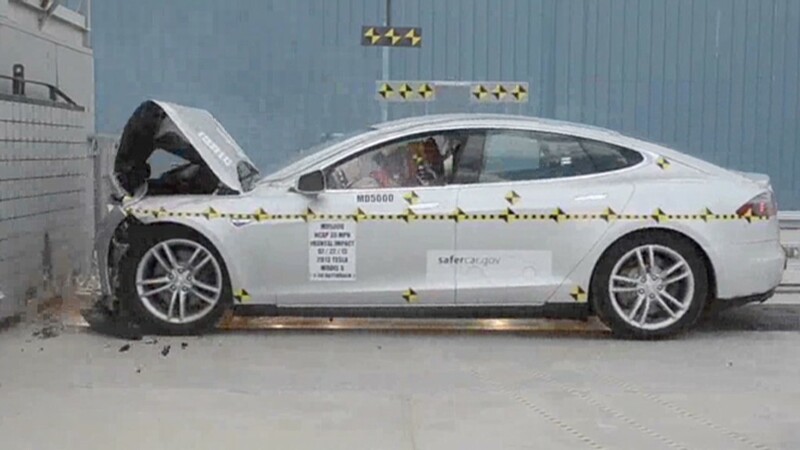 In August, the Model S earned the highest score possible on NHTSA crash tests. Two weeks later, Tesla issued a statement pointing out that its crash results were actually the best ever recorded for any car.